Given that there are a plethora of good surf spots in San Diego—and just up the coast in Orange County, or down the coast in Baja—indoor waves might seem superfluous, but, as Wave House claims, you can’t get barreled when it’s flat. To remedy days where there isn’t any swell, they have two skimboarding waves, the relatively mellow FlowRider, and the FlowBarrel, which creates an impressive-looking 10-foot-tall wave. The Basque region’s outdoor Wavegarden has gotten votes from big name surfers like Dane Reynolds and Taj Burrows as the best artificial wave in the world. There’s a left and a right break, and they both move down a channel instead of breaking stationary like a lot of manmade waves. The waves are clean and the setting is beautiful: Wavegarden’s lagoon is in a valley in the mountains of northern Spain. You can find a man-made version of just about any outdoor sport in the UAE, and surfing isn’t an exception. 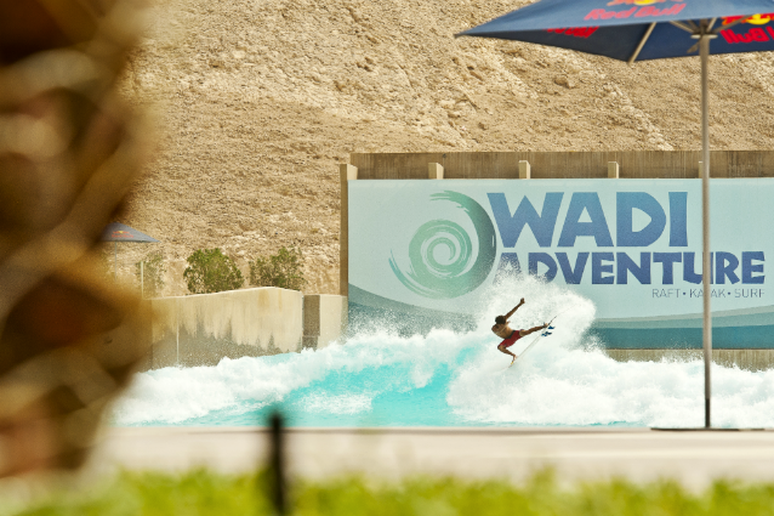 The Wadi Adventure Park, just outside of the city of Al Ain, has an artificial river for rafting and kayaking and a wave pool that makes waves up to 3.3 meters high. They only let six surfers in the pool at a time, and you can dial in the wave height and speed to suit your level. The classic 1987 movie North Shore is loosely based on a surfer from Big Surf. In the movie, teenager Rick Kane, the best wave pool surfer in Arizona, goes to the North Shore of Hawaii to prove himself. If you want to get on his level, Big Surf, which has been around since the late ’60s, is still one of the biggest wave pools in the world, and you can test your skills on its wave, which moves 2.5 million gallons of water. Disney World’s Typhoon Lagoon is the largest wave park in the world. 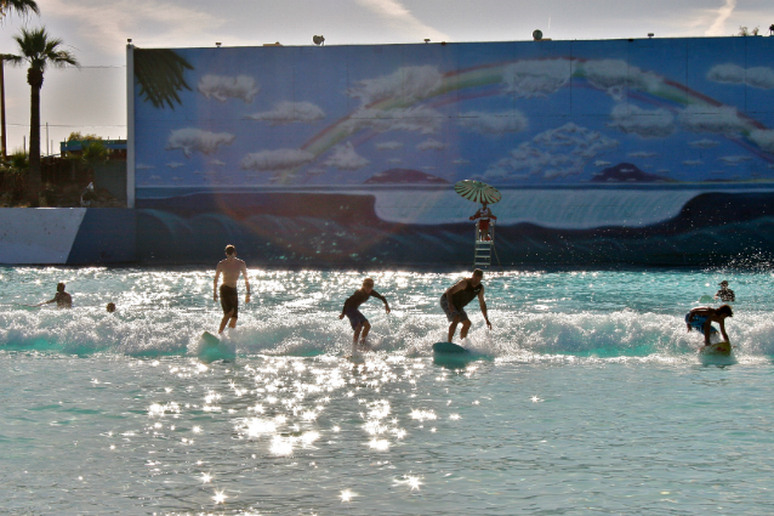 For most of the day the pool is crammed with Disney crowds, but you can rent it out for a surf session in the morning or at night. The waves are six-feet-tall, and you can pick how many lefts and rights you want, or ask for split peaks, so someone can go right and someone can go left on the same wave. Sunway Lagoon, which covers almost 140,000 square feet of water, was the biggest wave park in the world when it was built in 2000. It’s also one of the most beautiful. It has intricate tile work all around the walls. It throws out waves that are up to nine feet tall. 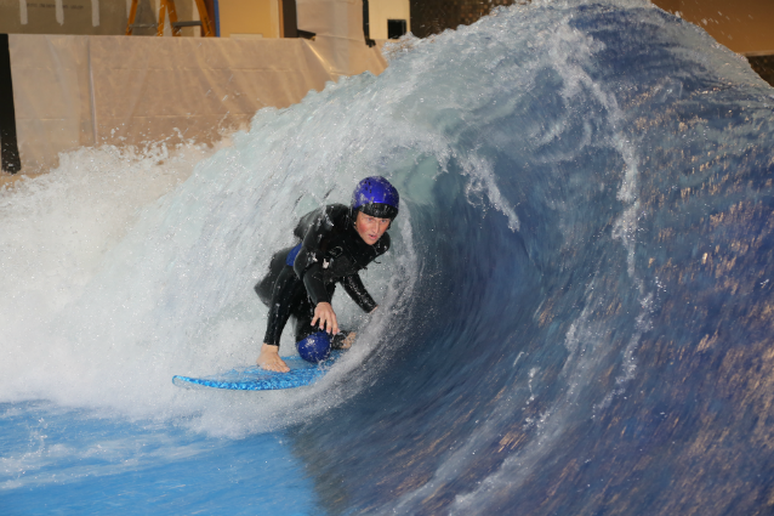 The world’s widest standing wave is under construction at Surf’s Up New Hampshire, an offshoot of Sky Venture New Hampshire, an indoor skydiving facility in Nashua. American Wave Machines is building the SurfStream wave, which will have a five-foot barrel and be 32-feet across the face. It will give New England surfers a warm winter alternative to surfing at Rye Beach or up the coast in Maine. Avalanche Bay, which is part of Michigan’s Boyne Mountain ski resort, riffs off ski culture in its Bavarian-themed water park. 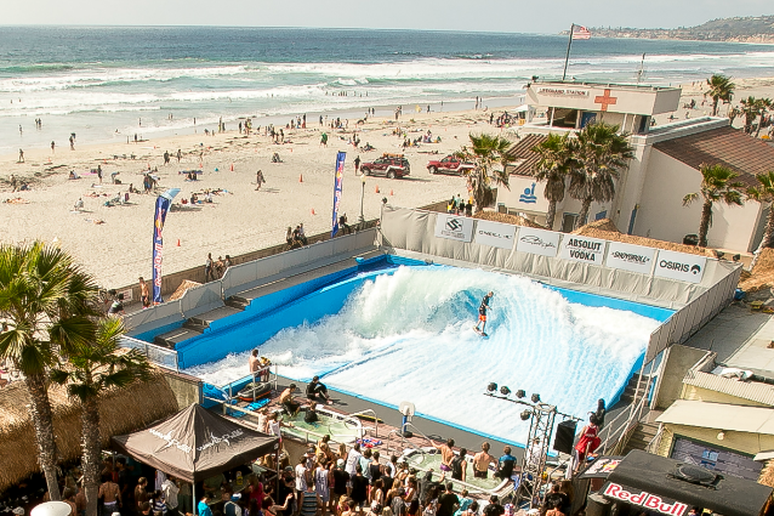 You can surf the Rip Zone, the artificial skim wave, on a stand-up board or a boogie board. 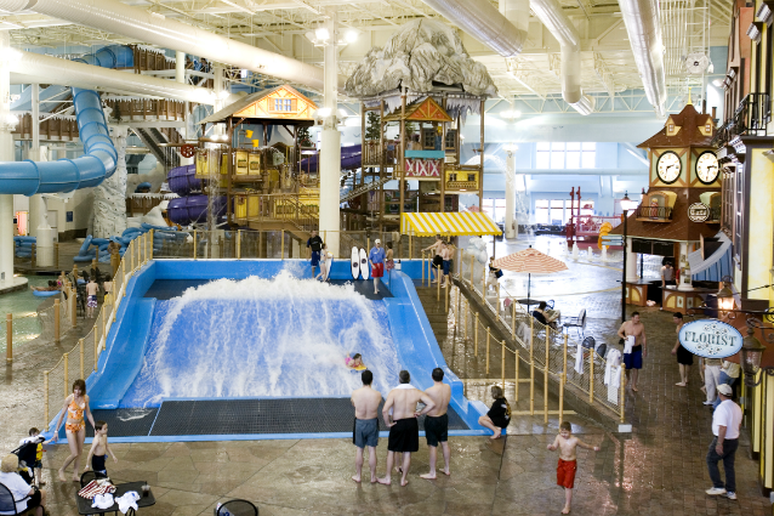 The Midwest is the land of indoor water parks. 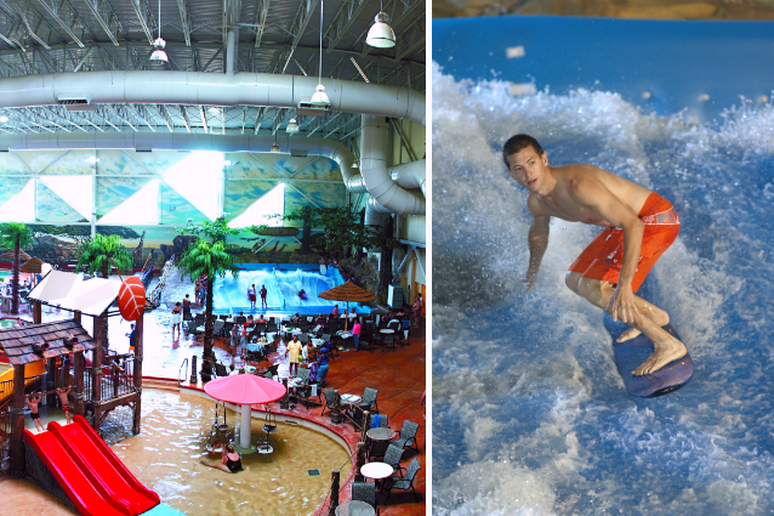 At Kalahari Resort in the Wisconsin Dells, the country’s largest such park, you can skim or boogie board the FlowRider, a five-foot-tall skim wave. They give lessons, so you’re not going into the “ocean” unprepared, and kids as small as 42 inches can give it a whirl. 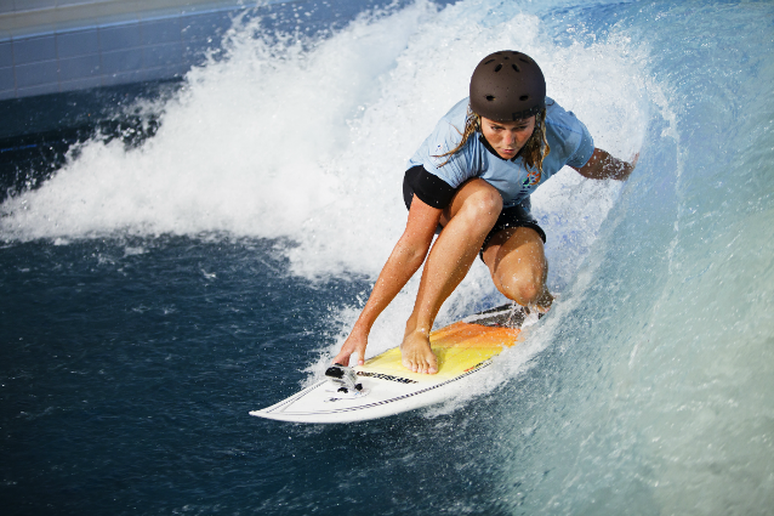 Himlabadet Resort, in Sundsvall, Sweden, has the first SurfStream wave in Europe. Installed in 2010, it’s 16 feet wide and the wave peak varies from two to four feet. The resort holds an indoor surf competition, the Hangloose SurfStream Open, at the wave, and pros like Cheyne Magnusson have come to surf it.